Carpet & Tile Cleaning - Spotless Cleaning & Carpet Service, Inc.
Spotless Cleaning Service offers a full line of floor care and maintenance services. Our professional floor care staff uses state-of-the-art equipment, supplies and techniques, including deodorizing and disinfecting. We provide cleaning and maintenance for carpet, upholstery, area rugs, hardwood floors, vinyl floors and tile and grout. Our fully bonded and insured, courteous and professional staff will treat your home and business with the utmost care was we do with our Residential Cleaning Service Program. You can have total confidence your home or business will be in proper order once the service is completed. Laboratory test show that Host Dry Carpet Cleaner is natural, nontoxic, biodegradable and safe for pets and people! Safety and your desired results are our main concerns. Before the main job begins, we will test a small area of your upholstery to be sure that you will be happy with the results. 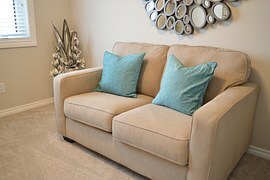 To keep your furniture looking fresh and clean, you should consider cleaning your upholstery once a year. The time between cleanings will vary depending on how often the furniture is used. Cut hardwood-floor cleaning time with smart preventive maintenance. If your hard wood floors have build up from dirt and foot traffic with minimal scratches and damages you don't need to resurface them; a professional hardwood floor cleaning is all you need to restore them to their original luster. Our hardwood cleaning process begins with a thorough vacuuming and our technicians use a special wood floor cleaner to break through grime and build up. VCT flooring can be high maintenance at times. 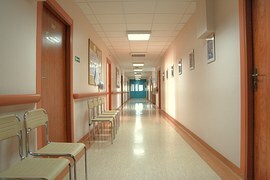 Short for Vinyl Composite Tile, VCT flooring is common in commercial buildings and hospitals. These tiles are usually shiny and glazed when they are installed but over a course of time the shine is lost. No matter how much you mop and scrub, you don’t get any satisfaction because the floors still look dirty. This is why it is important to strip and wax your VCT flooring. 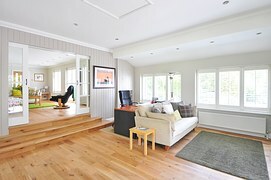 Stripping and waxing are techniques that will restore the shine of the floors and make them look great. We excel in VCT floor stripping and waxing . Our procedures are reliable and efficient.